When someone passes away in the District of Columbia, their estate has to be “opened” with the Probate Division of the Superior Court of the District of Columbia. The original will must be filed, along with a petition for probate by the person nominated to be the executor in the will. The executor, or personal representative, is the one who will be handling the majority of the probate duties. In the event there is no will, the decedent’s next of kin can file the petition for probate and serve as the personal representative. The court will then approve the petition for personal representative or appoint someone else and then the process of probate can begin. Probate can be an overwhelming process for many people. As an executor, there are a lot of responsibilities that you have to complete in a timely manner, or it can delay the process. Seeking assistance from a knowledgeable Washington DC probate attorney is highly recommended. The court may require a bond be filed before continuing with probate, and the personal representative is the one who has to handle these tasks. 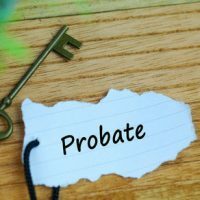 There are two different types of probate matters —small estates, which have owned assets under $40,000 in the decedent’s own name, or real estate in other jurisdictions; and large estate probate. Large estate probates are opened when there are a lot of assets, if someone is seeking medical records for possible litigation, or someone plans to pursue litigation right from the start. Personal representatives have to locate, identify, and then take possession of all the assets that will be included in the probate. He or she should keep detailed records and include a list of all liabilities from the date of death. In the District of Columbia, there is a requirement to publish a Notice of Appointment, Notice to Creditors, and a Notice to Unknown Heirs. This will give creditors and any unknown heirs six months from the first date of publication to file a claim or contest the appointment of the personal representative. If there are known debts, the personal representative still has to take care of them. Just because a mortgage lender didn’t file a claim, it doesn’t mean you don’t have to pay off the loan amount. Some people may not approve, but the personal representative is entitled to reasonable compensation for their services rendered. He or she will need to list the amount and provide to any interested persons. If someone objects to the amount, he or she will need to file a petition with the court. The court will determine whether or not the amount was reasonable and determine an amount the personal representative will be paid. It’s not uncommon for the executor to have to sell property from the estate to cover the costs of debts and liabilities. Tax returns also need to be filed and any final income tax paid by the filing date the year after the decedent passed away. The goal of probate is to distribute the estate’s assets to heirs, but it has to be done in a certain order. This is why estate costs and debts are resolved prior to distributing any remaining assets to the listed beneficiaries. Once everything has been paid and assets distributed, the estate can be closed. The personal representative can file a certificate of completion to have it close sooner in some situation. If you have questions about personal representative duties or need assistance with opening a probate, contact Tobin O’Connor & Ewing to schedule a consultation.